The route into Argentina from San Pedro de Atacama crosses the Andes through Paso de Jama, a mountain pass at about 13,800 feet above sea level. 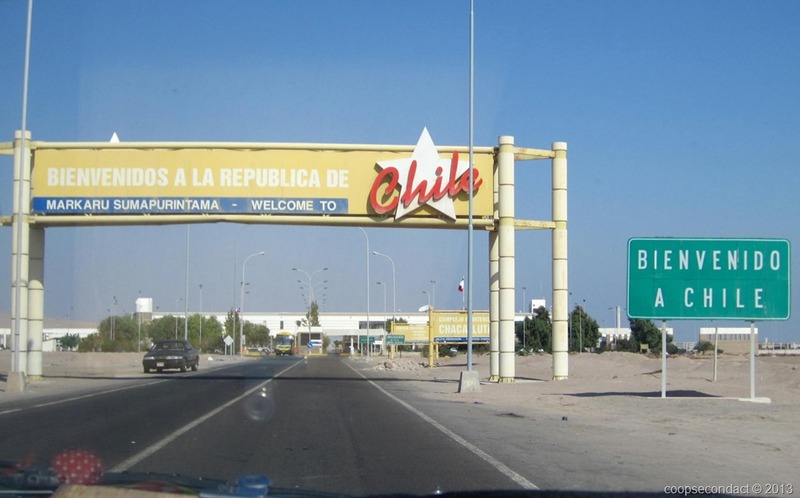 It was first necessary for us to get stamped out of Chile which is done at their border control office located just outside of San Pedro, 160km from the border. The Atacama desert is a 600 mile strip of land along the Pacific coast stretching from southern Peru through the northern half of Chile. It is the driest desert in the world. The average rainfall is around 0.59 inch per year with some weather stations in the Atacama having never recorded rainfall. However there are some oases that appear here and there. 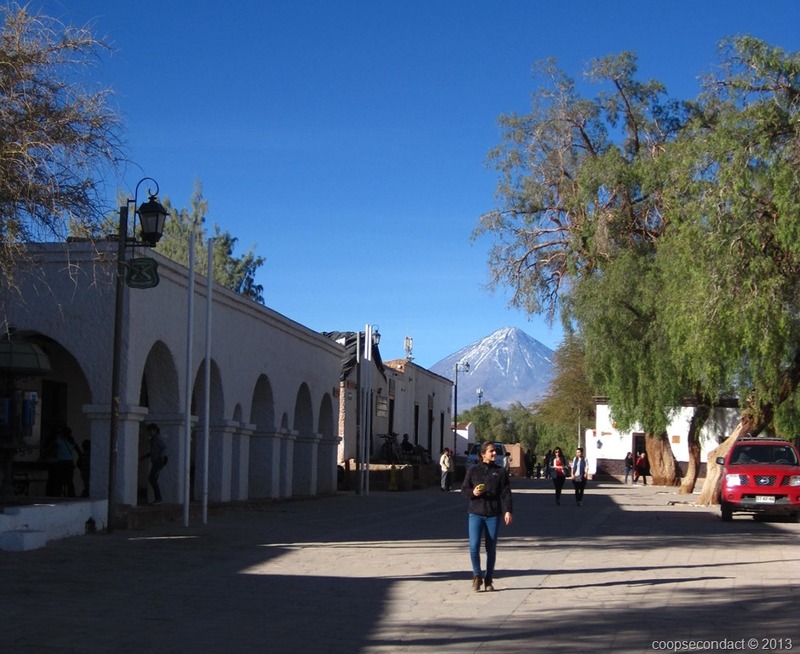 One of these is San Pedro de Atacama (photos). 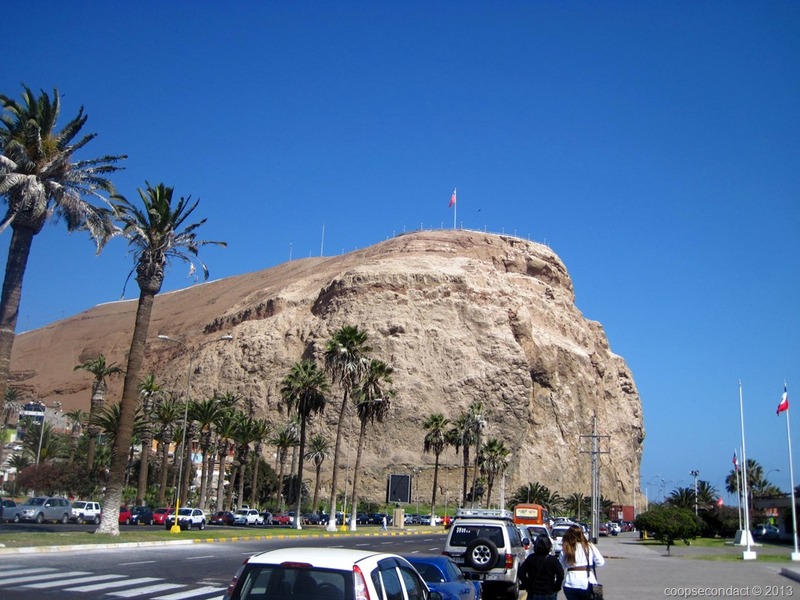 Arica (photos) is the first city you encounter as you enter Chile from Peru to the north. It is defined by surfing, seafood, shipping and…well, some other stuff that doesn’t start with an “s”. 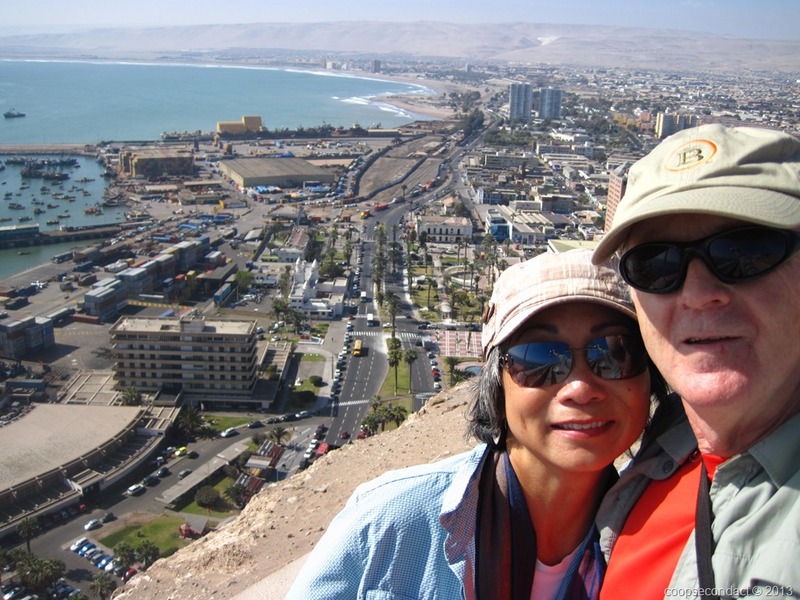 Leaving from Arequipa, we wanted to get to Arica, Chile, just across the border from Tacna, Peru. This meant first taking a bus from Arequipa to Tacna. 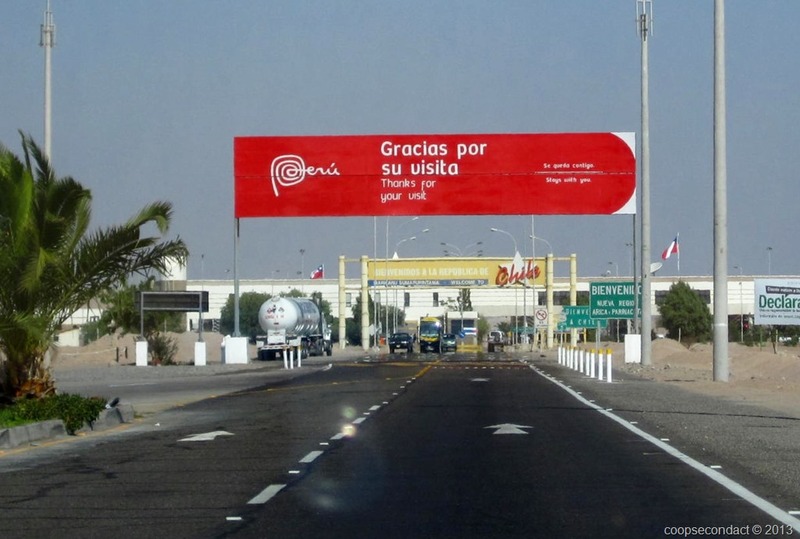 When we arrived in Tacna, we walked “across the street” to the international bus terminal. From there we would join a “collectivo” which would take us across the border, making the stops to get us stamped out of Peru and then into Chile. In general, a collectivo is some type of vehicle that collects passengers until it’s full before leaving. In this case, the collectivo was a passenger car with 5 passengers. Once we had our 5, the driver took our passports and had our Chile tourist cards prepared. 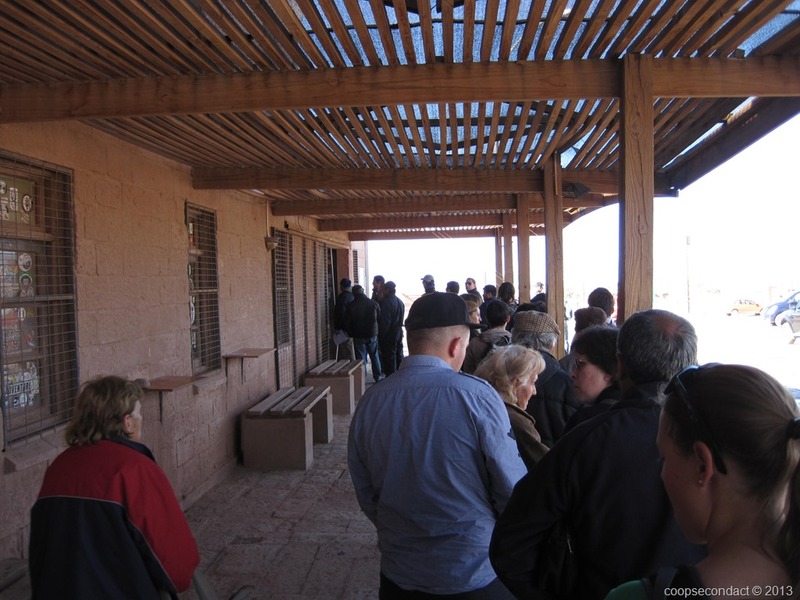 Following the relatively uneventful border crossing, the driver delivered us to the international bus terminal in Arica. The trip from Tacna, Peru, to Arica, Chile, is about 40 miles, took a little over an hour and cost us about $11. Happy Fourth of July from Arica, Chile.